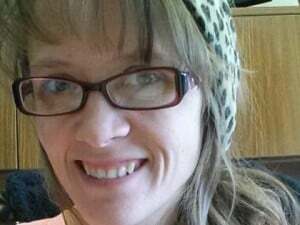 My name is Sue and I am the wife of Alex Marini (an elder at Gap View Mennonite Church in PA) and mother of 6 children (ages 17 to 30). 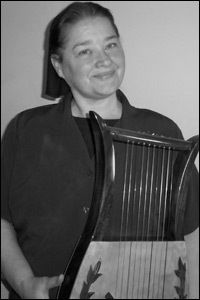 I’m a secretary to my husband’s harp-making business, and have home schooled for 28 years (this spring I graduate!) I was raised in a Catholic family in Massachusetts, and after I became a Christian (at age 18 in 1975), I was a part of a Plymouth Brethren church where the older ladies still wore head coverings to church. I met my husband at this church, and we were married in August of 1980. In 1988 we moved to PA to be a part of an Anabaptist church that held to a more Scriptural teaching on many issues. If you want to read more about my family and see pictures of my children + grandchildren you can go to the “About Us” section of our website at www.marinimadeharps.com. Presently we attend an independent church called Gap View Mennonite Church in the town of Gap, PA. It was originally a strict brand of Mennonite years ago, but seven years ago it re-organized just before we started attending, and we have people coming from different church backgrounds who do not want their families micro-managed by church leadership. Our church leaders feel that it is best for the fathers to lead their own homes — not the church. We have a wonderful “body” life, and look for ways to show the love of Jesus to each other, and to the community around us. 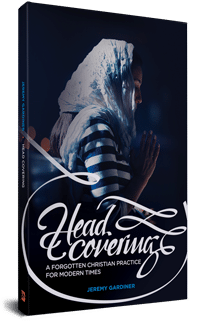 My husband and I started searching the Scriptures on this topic of the head covering in our early married years, and I started wearing a black veil-type one in 1986. Since my peers did not wear one, I received lots of negative responses (even in a church that the older women wore the covering to church). When we moved to PA in the summer of 1988 to Lancaster County, it was much easier to wear a covering in an area that Mennonites and Amish were already doing this… so I didn’t stand out as much. 4) Are the objections to head covering essentially the same as when you researched this topic nearly 30 years ago, or are different theories more popular? Pretty much the same. When “women’s lib” came in (50’s + 60’s) off came the head coverings. Women wanted to be free from the idea of submitting to a man’s leadership… so the wearing of a head covering just didn’t fit anymore. I was raised Catholic as a child, and I remember in the late 50’s when I went to church as a young girl, ALL the women in the Catholic church wore some sort of head covering (a hat or triangle piece of lace). 5) What was that first Sunday like when you showed up in a covering? When I went to church, I sensed my friends felt “judged” and walked the other way. This was hard for me, and I felt alone. Thankfully my husband was on the same page with me, and he was very supportive. It was amazing to me how that one small piece of cloth could make such a BIG difference in how people related to me. When I first started wearing the covering, I wore it mostly to church, Bible Studies and prayer meetings. But then when I started home schooling, and teaching the Bible to my children I felt I needed to wear it more during the day. It became impractical to search for a covering each time I wanted to pray. 6) I have a few questions since Lancaster County has many Mennonite/Amish families, and since you’re a part of a Mennonite church there (which your husband is an elder of). 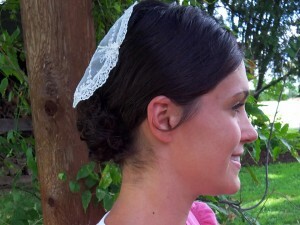 Would you say that most Mennonite women who cover their heads in your church/area understand why they do so? When we first moved to PA (from MA in 1988) I thought that the Amish were one group, and Mennonites another group… BUT after getting acquainted with the area after a while, I learned that there are “new-order Amish,” and “old-order Amish” and MANY different kinds of Mennonites (kinda like the variations in Baptist churches… anywhere from very conservative to very liberal). Our chuch is a mixture of different backgrounds with people who seek a “relationship” with God vs. just having “religion” in their life. So the women in my church would understand why they wear a head covering. Our family is not Mennonite (we’re just born-again Christians), but we appreciate many of the Mennonite teachings. 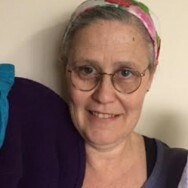 There are many women in the Amish and Mennonite churches that surround us who were raised with wearing a head covering (as a part of their church tradition), but don’t really understand the meaning behind it. 7) Some have the perception that within the Mennonite community there is not a lot of freedom with regards to the the types of styles and colors of coverings. Is that true? 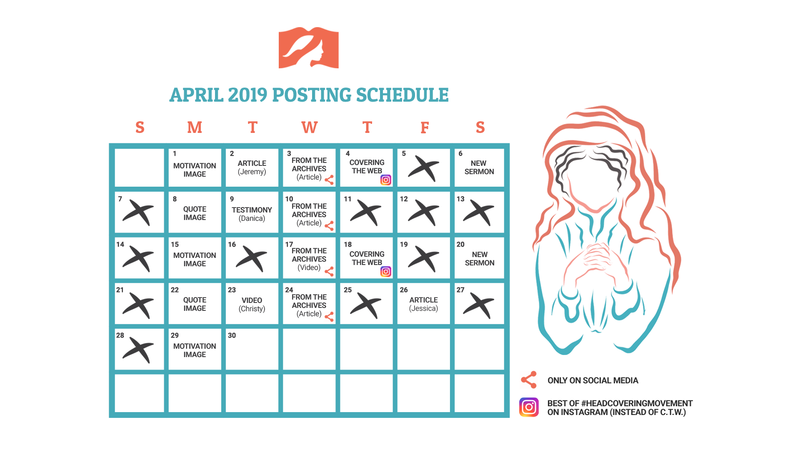 Fortunately, we are a part of a church that the women wear a variety of head coverings (and we leave it up to each individual to decide for themselves… BUT there are many surrounding churches that will only allow ONE style of covering for uniformity purposes. The church leaders dictate the rules of what is acceptable to wear (even what color socks) so that everyone is on the same page and “uniform” in practice. 8) What would you say is the best and the most difficult aspect about head covering? The BEST aspect about wearing a head covering would be… first, that it honors God and tells the world around me (and the angels) that God’s order of authority is RIGHT. Secondly, it gives me a great opportunity to share my testimony with people because THEY often come to ME asking… “why do you wear that on your head?” Recently I was on a trip flying back from Colorado and the man sitting next to me asked: “Are you clergy?” so I said…”What do you mean?” he said “well… you have that on your head.” So I explained to him why I wear it and gave my personal testimony. This happens to me often. The only difficult times I’ve had, is when I’m with relatives from another state (who are not church going people) who seem to feel awkward around me. 9) What kind of covering(s) do you use? Where did you get them? I originally made my first ones, but now I get them from Joyce Long at www.joycelongcoverings.com. I enjoyed reading your testimony here, Sue. I first heard the teaching on covering with Plymouth Brethren, and we worshiped with them for a few years. Currently, we worship at home with a few other families (mostly related). 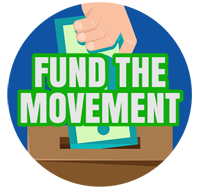 I have covered for about 14 years, mostly full time after the first couple for the same reasons you state. I don’t have anyone in my life other than family that knew me before I covered, and I rarely get asked about it. Loved this story! Thank you for sharing!! Sue, It was such a blessing to come across this today! I remember being in your home years ago (1998?) as a family, and your hospitality was inviting! You fed us crepes, blueberry topping (maybe others, but that one stands out 🙂 ), and whipped cream. 🙂 And your family was lovely. We had also read Alex’s book before then, and over the years have enjoyed the harp cd’s immensely! It was so nice to find this testimony today and to see an update of your family on your website. I had always wished I had kept in touch. If you are ever in NY, please do look us up! (we are at Bainbridge) The Lord bless you & yours! Thanks for sharing your testimony. One thing the Lord has been using in my life to prompt me about head covering was a number of Amish novels (Beverly Lewis, etc.). Interesting that you moved to that area. Glad you get chances to share your testimony with people b/c of your covering. I looked around your website at some of the pictures of you and your family. They and your testimony were such a blessing to me! Thank you!